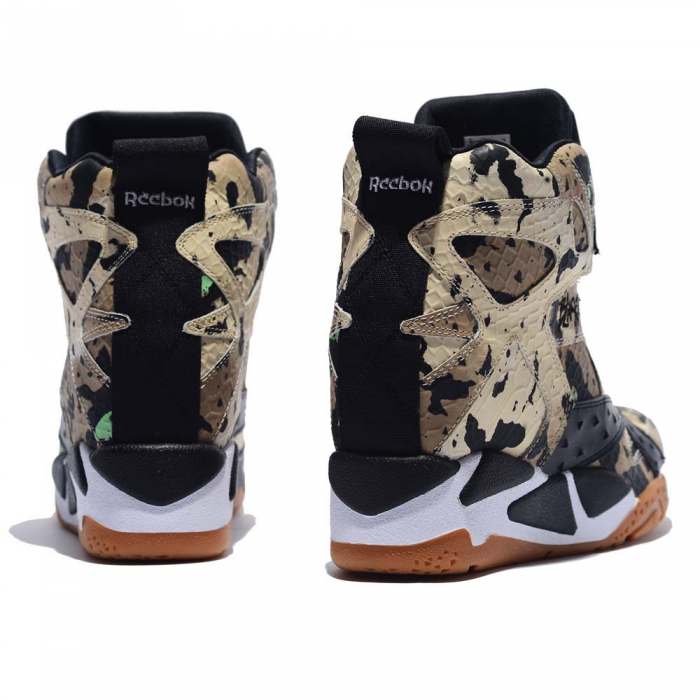 Melody Ehsani, an LA designer, has teamed up with Reebok to provide you with the most stylish kicks yet! I've been to the Melody Ehsani Boutique while I was in LA and I've definitely come to respect her bold taste. I want to present her new sneaker collection. A couple of pairs have already dropped and some are still available so check 'em out! 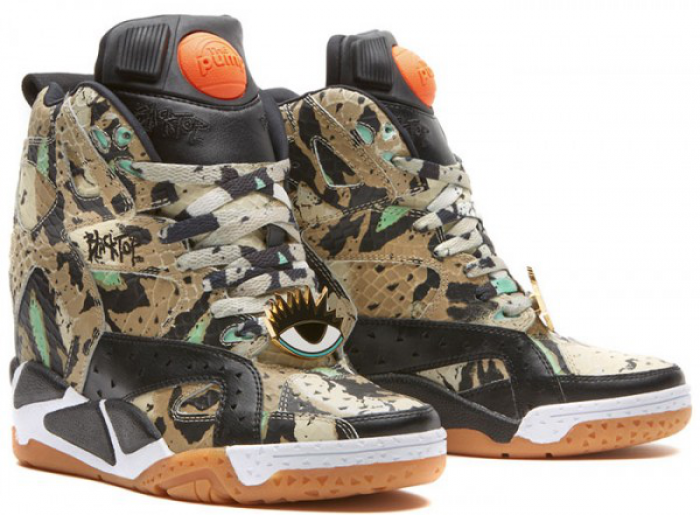 First, let me introduce to you... the Melody Ehsani x Reebok Black Top PUMP Wedge. This classic made history when ME collaborated with the PUMP shoe, becoming the first woman ever to do so. The inspiration behind the detailed design is from women, as amazing and as simple as that. ME wanted to specifically cater her PUMP to women by exhibiting dimension and variation which is rarely seen in today's sneaker merchandise. The shoe is covered in premium Italian leather and works with a watercolor snakeskin print overlay. Includes a soft wedge insole, gum bottoms, and a handwritten messge from ME herself, found on the inner liner. The best part is.. there is a piece of jewelry found within the Lace Locks which are removable and can be worn as jewelry, however you may like. Be sure to checkout more about the fabulous designer and her collabs with Reebok. I'll post more in the future since they are just too good not to. Enjoy!